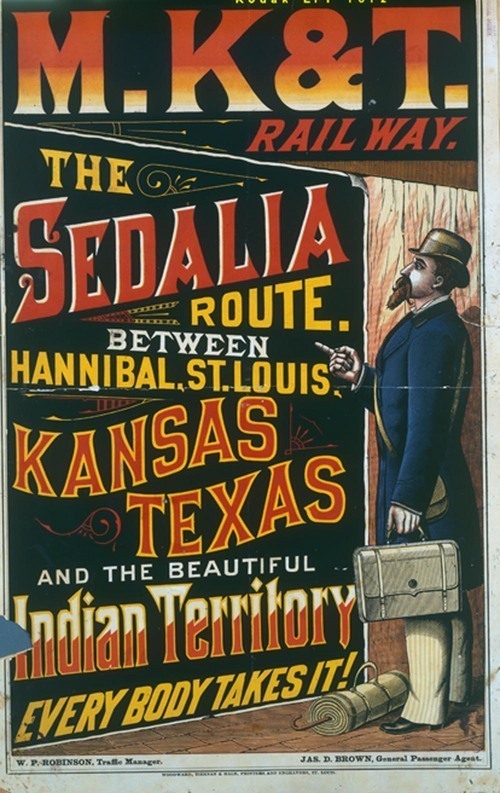 Nineteenth century railroad broadside advertising the Sedalia, Missouri, route of the Missouri, Kansas & Texas Railway Company. The route traveled between Hannibal and St. Louis, Missouri, and the Indian territory. W. P. Robinson was the traffic manager and Jas. D. Brown was the general passenger agent.